Welcome to Steve Stafford's Blog ~ Revit OpEd = OPinion EDitorial ~ My view of things Revit, both real and imagined. Copy Monitor - A Different Way? It's my observation that there is a prevailing mostly ambivalent attitude toward the Copy/Monitor (C/M) features. I've said before that I think the order of the tabs in the Options dialog are based on the likelihood that we'll use them. Specifically they are listed left to right: Levels, Grids, Columns, Walls and Floors. C/M isn't hard to use but once it is in play we've got some new rules and warnings to contend with. The process depends on us identifying the elements we want to live in the C/M system. I understand the logic of that choice. 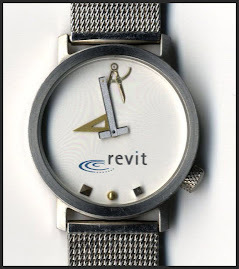 Revit asks us to tell it what is important enough to us to engage the system. Perhaps we need a completely different way to attack the problem? One that doesn't require the advance work. One that is more a reaction to work as it is created and shared, that merely exists. I wonder if it would be more betterer if we could run a Level or Grid check as a process. The application would compare elements and compile a report, observations and differences. It could be something we read afterward or presented in a dialog for immediate action. For example, it could just start with: "Hey Steve, there are 27 grids in your model and 30 in theirs. You should look at them." Take it slightly deeper, "Hey Steve, there are three grids that share the same name but are not in the same location." Does it matter that they used to be in the same location and they aren't now? The application would have to start storing records for past results to do that but it could be useful to determine when or how things got off track. The rules or conditions that are interesting need to be defined. This sort of element review and comparison doesn't have to be limited to the five that Copy/Monitor were designed for originally (overlooking the MEP elements that have been added in some fashion). It still requires two or more elements though; mine, yours and theirs. The redundancy is annoying but it does provide us with flexibility within our own models. I imagine much of what I'm describing (and more) is possible via the API and Dynamo. It just needs someone to decide it is an interesting enough thing to do. Autodesk, AutoCAD, and Revit are registered trademarks or trademarks of Autodesk, Inc., in the United States and other countries. This site is not sponsored or endorsed by, or affiliated with, Autodesk, Inc.
Autodesk® Revit® products are wholly owned by Autodesk. Any reference to Revit, Revit Architecture, Revit MEP or Revit Structure, or Navisworks on this site is made acknowledging this ownership. Refer to Autodesk's own web site and product pages for specific trademark and copyright information. Autodesk represents a great many products and every attempt will be made to respect their ownership whenever one of these other products is mentioned on this site. You can Donate funds to Revit OpEd! Comments are moderated to manage spamming. Comments will appear as soon as they have been reviewed. Follow Revit OpEd by Email? Scott Brown's Watch - A few lucky early adopters received these watches back in the day. I'm a Revit Consultant. Glad you're here, hope you enjoy the blog!